Do You Need Help Learning To Play The Guitar ? You are new to the guitar and need help getting started. You have been teaching yourself for a while, but feel stuck or frustrated and need help to get to the next level. You are a singer-songwriter who would like to gain a better understanding of music to improve your song writing skills. You are a parent trying to find the best guitar lessons for your child. What are the benefits of studying with Nick @ Guitar Lessons Wirral? You will see results! Your guitar lessons are taught in a way that will help you learn to apply your knowledge directly toward your musical goals–no “one size fits all” lessons. Your lessons will give you the exact knowledge and help you obtain the skills you need in order to be able to do what you want to do on the guitar. All styles available including; blues, folk, pop, rock, hard rock,and funk for both rhythmic and lead guitar, acoustic or electric . If you’re looking for a guitar teacher, I offer private lessons in the Wirral area. You can look at some of the free online lessons here for help with chords, scales, and strumming exercises.Wirral Guitar Lessons is the friendliest guitar tuition on the Wirral. Nick’s years of experience playing and teaching guitar, weaved together with his knowledge in philosophy, mentoring, personal coaching is designed to bring out a students full potential. He has a free spirited and positive attitude. His engaging instructional technique, in addition to his musical knowledge is sure to encourage and inspire even the novice musician. Guitar Lessons Wirral believes practice is important, and students should enjoy themselves as they grow through their musical process. 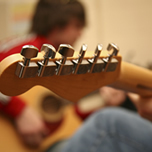 Wirral Guitar Lessons home of guitar lessons in the Wirral. Its a different animal, the electric guitar. Its not like its acoustic or classical cousins. This is the instrument of choice for rock, pop, jazz and so many other popular styles. Give me call today on 07753 526 439 to see how we can help you reach your potential on the guitar!. At Guitar Lessons Wirral only the best will do, to provide you top quality electric guitar lessons.With each individual student, I offer exercises and techniques to practice that will help you to immediately begin seeing positive results. I believe that anyone can play the guitar well and take their next step in music. It makes a big difference if you have the right teacher to help you learn the music you love. Most people that have attained proficiency on their instrument had someone that took the time to guide them along their way. Much of what is thought of as difficult to play or understand in music is only mysterious until it is explained and practiced intelligently.Wirral Guitar Lessons give you one of the best and most experienced guitar teachers in the music business.Focus on rock,blues,jazz,rock ‘n’ roll, amplification, co-ordination, dynamics, feel, fluidity, fx pedals, songwriting and general. musicianship. Guitar Lessons Wirral @Wirral Guitar Lessons Wirral. GUITAR LESSONS WIRRAL… If you decide to take guitar lessons with me you will learn the instrument in an innovative and fully individual way, personalised by your music taste. You will not have to learn to read sheet music, and I do not teach grades, unless required. With my guitar tuition you will develop your skills on the guitar in a fun, exciting and unique way through a carefully structured lesson plan based upon your favourite guitar music. This is done in a way that is designed to slowly improve you as a player, as well as encouraging you to create music and play along with others. Hey there! My name is Nick, and I teach guitar lessons in the Wirral area. 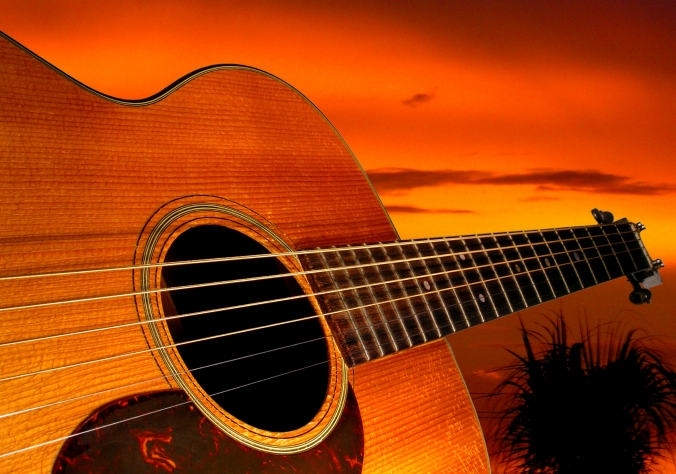 At Wirral Guitar Lessons, the teaching approach is to help you have FUN reaching YOUR goals. Owner and teacher Nick Crouch provides a balanced and flexible guitar lessons designed to suit your needs. Nick teaches guitar, bass, songwriting to students of all ages and levels. Nick has performed regionally and nationally for 40+ yrs and has been a full time guitar teacher for 30+ years. He can teach YOUR favorite songs, and the guitar techniques and theory that make them work! Absolute beginners and intermediate players of all ages are welcome! Convenient scheduling Tuesday through Saturday 11.00 till 7.00. A few words from your Guitar teacher Nick…. I’m very passionate about guitar and I teach in a fun, pressure-free atmosphere. I pride myself on providing quality lessons in a variety of styles and techniques, with unbeatable pricing and scheduling options.Additionally, I offer shared lessons with a parent for any child under the age of 12, at no additional cost! Group lessons with a friend or family member are now available, as well.I have many years of experience teaching both electric and acoustic guitar professionally, along with many years experience as a player.Lessons are given at my home studio on the Wirral, located near Prenton. The most helpful guitar lessons around so you can get on the fast track to becoming a great guitar player! An inspiring, motivating and helpful learning environment that will enable you to get the results you want as a guitar player and musician. Learn with a professional, dedicated, full-time teacher to get great results fast. Whether you want to learn how to rock out with your mates, join a jam session at a blues bar or learn the techniques of folk and jazz guitar, you’ve come to the right place. Whether you are a beginner or advanced guitar player, imagine how you will feel when you become the musician you have always wanted to be. Imagine being able to leave your frustration behind and learn to play your favorite songs, rip through a guitar solo or even write your own music. My name is Nick Crouch and I’m here to help you learn to play the guitar. Electric and acoustic guitar lessons in Bebington are available right now at Guitar Lessons Wirral . Beginner and advanced students are welcome.Try a lesson and learn how the Wirral Guitar Lessons can help you become the guitar player you’ve always wanted to be! Please Call Nick 07753 526 439 to arrange a lesson.